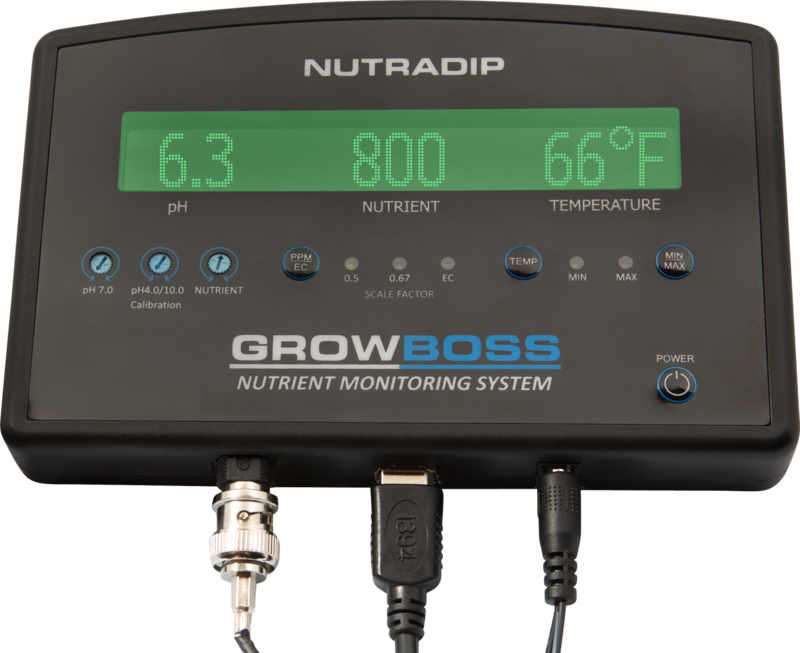 The Nutradip GrowBoss is a combined measuring instrument. 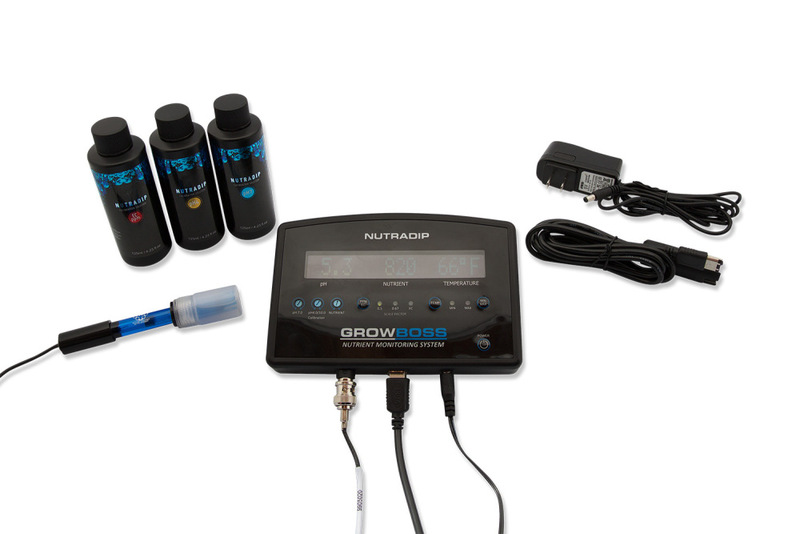 It measures exactly the nutrient salary, the pH value and the temperature. This makes possible it for the user accurate settings of the nutrient solution in every growth cycle, it is to be achieved possibly the best results. The GrowBoss is the successor of the proved Trimeter of measuring instrument. With the new memory function continuous supervising as well as reliable fairs of the temperature, as well as EC-and pH of value is simple and possible problem-free. The new function is called about the MIN Max's key on the front display. This function stores the measurements from pH, EC and temperature during the absence of the user. The announcement of the measured values are about the keys on the front switch. The temperature measurement can be indicated in Celsius and Fahrenheit, as well as nutrient values in EC and ppm.